Want all the details about our First Officer Program? Here you will find the answers to the most frequently asked questions regarding OSM Aviation Academy and our programs. As the FAQ is based on the questions asked it will constantly be updated as new questions arise. In the menu to the left, you find the questions organized in main categories. If you don’t find your specific question(s) in our FAQ, you are most welcome to contact us or message us on our Facebook page. Will I have a job after graduation? When you start an integrated flight training program at OSM Aviation Academy you will have a conditional job offer from OSM Aviation. It is stated in the agreement what conditions you need to meet in order to be employed after your graduation. This allows you to put your focus where it should be, in becoming the best pilot you can be. A conditional job offer means that you will be hired as a Junior First Officer by OSM Aviation after you graduate, given that you meet the conditions stated at the beginning of your training. Aside from learning being able to master the core competencies of a professional pilot, you are also expected to display a positive and driven attitude throughout your training. Attitude and motivation are two of the most important factors to succeed in your pilot education and career. It is OSM Aviation's strong intention to hire all graduates from our integrated programs, however, you must also live up to your end of the bargain. Which airline will I fly for? OSM Aviation has several partner airlines that you could end up flying for. Airlines such as Norwegian, Finnair, Turkish Airlines and Thomas Cook are some of the airlines that could be a reality for you. As a newly graduated pilot with limited experience, you should a have a flexible mindset towards which airline will be your first employer. We will strive to provide you with lucrative options, however, we cannot guarantee that you will work for a specific airline of your choice. OSM Aviation is operating in 18 different countries and will continue to expand in the years to come. The demand for pilots is dictated by our airline partners and thus you should expect a base anywhere within our network. Naturally, we will strive to position you at a base of your choice, but this will not always be possible and it is therefore wise that you have a flexible mindset when venturing into your pilot career. Since we cooperate with many different airlines who have different payment structures, we are not able to pinpoint your exact salary when you start working. Your salary will be competitive but can range from 2.800-4.000 EUR a month depending on the airline. Please note that these numbers may change in relation to market rates, inflation and supply, and demand. In other words, you should view the above-mentioned numbers only as guidance to give you a general idea of the pay-scale for a newly graduated Junior First Officer. Salary will increase over time as you gain more experience. A substantial increase in salary can be expected when and if you upgrade from First Officer to Captain. A process that can take anywhere from 5-10 years or sometimes even more. Do I have to work for OSM Aviation after graduation? OSM Aviation Academy, through OSM Aviation, will constantly strive to present you with lucrative career options upon graduation. If you so choose, however, you can of course venture into the job market yourself and apply for other jobs outside of our network. Which aircraft will I fly after graduation? With OSM Aviation's many partner airlines lined up for you, there will also be a greater palette of different aircraft you may end up flying after graduation. It is the need of the airline that dictates which aircraft you will fly for them. What does "the right attitude" mean? A professional pilot must be reliable, punctual and organized. You need discipline to get through your studies and complete your assignments in a safe and efficient manner. It´s important that a student in flight school is susceptible to feedback and constructive criticism. You are expected to share your knowledge and experience with your classmates and others at the flight school. It´s also important that a pilot is civil and has respect for others. There is zero tolerance for narcotics and alcohol abuse. What are the pre-entry requirements to apply? Pass a Pilot Aptitude Test (both part 1 and 2). *If you haven't read physics in High School, OSM Aviation Academy offers a 2-week long online course that costs 1500 SEK. You may sign up for this course after passing the Pilot Aptitude Test. When you have submitted the documents required to apply along with your application, the admissions department will evaluate your application and you will be notified by e-mail if you have been accepted into the program or not. You are not guaranteed to be accepted if you have a passing grade in all subjects. English, physics, and mathematics are emphasized when we review your grades, but we also look at your overall grades and the results from your Pilot Aptitude Tests to determine your ability to be successful with your academic studies. In short, the stronger your grades, the higher the likelihood of being accepted into one of our integrated programs. What subjects are needed to apply? *If you haven't read English in High School, you can complement your application with a TOEFL test. You need a score of 80 on the TOEFL test to be eligible. **If you haven't read physics in High School, OSM Aviation Academy offers a 2-week long online course that costs 1500 SEK. If you are interested in applying for First Officer-(FOP) or Professional Pilot Program (PPP) you can take this course after passing the Pilot Aptitude Test. What grades are needed to apply? Why do I need to do a Pilot Aptitude Test before I can apply? The Pilot Aptitude Test will ensure that you have what it takes to complete the training and to become a professional pilot. So the simple answer to the question is: You need it for yourself! Why do I need to do a medical examination? An EASA Medical Class 1 is a requirement to become a professional pilot and it needs to be renewed each year. This is a requirement from the Civil Aviation Authorities (CAA) and your pilot certificate is worthless without a valid medical certificate. What if I don't have physics? If you haven't read physics in High School, OSM Aviation Academy offers a 2-week long online course that costs 1500 SEK. If you are interested in applying for First Officer-(FOP) or Professional Pilot Program (PPP) you can take this course after passing the Pilot Aptitude Test. What if I don't have English? If you haven't read English in High School, you can complement your application with a TOEFL test with a minimum score of 80. The TOEFL test is an extended English test that will measure your skills in four sections: reading, listening, speaking, and writing. The tests combined will determine your total score. Read more here. Do I need an extract from my criminal records to apply? All employers in the aviation industry demands an extract from your criminal records before employment. We have no demands for your criminal records however you will need it after your education to work as a professional pilot. What is a Pilot Aptitude Test? The Pilot Aptitude Test is a test that we use to ensure that you have what it takes to become a professional pilot. The Pilot Aptitude Test is dived in two parts, the first part is computer-based tests and a math test. The second part is an interview with a flight psychologist and further tests. You need to complete both parts with a successful result in order to apply for the First Officer-(FOP) or the Professional Pilot Program (PPP). How do I sign up for the Pilot Aptitude Test? If you would like to sign up for the Pilot Aptitude Test at OSM Aviation Academy you can click below and go to our events page and find the event that suits you best. If you are successful in part 1 of the Pilot Aptitude Test we will schedule you for part 2 on the next available date. Part 2 of the tests are done in Stockholm or Oslo. The price for part 2 of the Pilot Aptitude Test is 500 EUR and will be subtracted from the application fee if you are admitted to one of our integrated flight programs. The first part of the Pilot Aptitude Test takes place during our Pilot Open Days or on separate testing days in Västerås or Oslo. If you register for the Pilot Aptitude Test, you will not be able to register for an intro flight the same day in Västerås. The time of the tests is specified on the booking page for each event. If you have any further questions regarding the Pilot Aptitude Test feel free to send us a message. What is tested during a Pilot Aptitude Test? You can do the first part at one of our Pilot Open Days or extra test days and if you pass the first part you can schedule the second part of the tests which can be done in Stockholm, Västerås (Sweden) or Oslo (Norway). Part 2 of the Pilot Aptitude Test cost 500 EUR and can be booked once you have passed part 1. The second part takes approximately 2 hours to complete. Part 2 is an interview with a flight psychologist where the applicants are being evaluated on character, personality, motivation, and attitude. Your technical skills will also be evaluated through additional tests that are based on your results from part 1. *The price for part 2 of the Pilot Aptitude Test will be refunded through a reduced admissions fee if you are accepted into our First Officer- (FOP) or Professional Pilot Program (PPP). How many attempts do I have to pass the test? If you don't get an approved result on your first attempt you can try again after a minimum waiting time of 6 months. Should you fail the test on your second attempt you can try a third and final time. You will have to wait minimum 6 months between each attempt. How long is the test valid for? When you do a Pilot Aptitude Test it is divided into two parts. You will have to pass both parts in order to have a complete test. Pilot Aptitude Test part 1 can be done on all of our Pilot Open Days (limited spots available) or during one of our extra testing days in Västerås, Sweden or Oslo, Norway. If you pass the first part of the Pilot Aptitude Test you will have to complete the second part within 6 months to get a diploma. If you wait more than 6 months before attempting the second part you will have to do part 1 again. When both parts are completed with an approved result the test is valid for 3 years. Therefore, it can be a good idea to do the test well before you are planning to apply to our programs. What if I don't have the possibility to take the test at OSM Aviation Academy? If you don´t have the possibility to attend any of the dates listed on our website, feel free to send us a message and ask about the possibility to come to Västerås, Sweden or Oslo, Norway on another date for a Pilot Aptitude Test. You can do the pilot aptitude test directly with the flight psychologist centers if you do not have the possibility to do the test with us. Keep in mind that the test will then not be divided into two parts. The price for the test will be approximately 6000 SEK and will not be subtracted from the application fee. You are able to apply for our programs with an approved Pilot Aptitude Test from any of these centers. The short answer is yes. In the same manner that you can train your body, you can also "take your brain to the gym" and make it better, stronger and faster. One of the most important things to think about, however, is to get a good nights sleep and eat a healthy breakfast before the tests. If you want to learn some tips and tricks that can help you train your brain, we suggest that you download our guide, "How to prepare". It usually takes 7-10 days before you receive the results of your Pilot Aptitude Test. How do I book a medical evaluation – EASA Medical Class 1? EASA Medical Class 1 needs to be completed and sent to OSM Aviation Academy before the course start. We recommend you to do the EASA Medical Class 1 evaluation after you have received an acceptance letter, as there is a fee for the evaluation. Can I wear glasses – if yes, what are the limitations? You are allowed to wear glasses. The acuity with or without correction (glasses or lenses) shall be 0,7 or better for each eye and with both eyes 1,0 or better. You cannot be more astigmatic than 2 Dp. If you are unsure about your eyesight and/or any of the limitations, consult an aviation medical examiner. You can find a complete list of medical examiners in Sweden on the Swedish CAA website. Is it okay to have had laser surgery? Laser-surgery of the cornea can be a problem. The applicant can get an approval from the authorities after an extra assessment. Can I be colorblind and pass the medical examination? It depends to what extent. The Ishihara-test must be passed. Contact a flight-doctor for further information. Can I pass the medical examination if I have allergies and/or asthma? It depends to what extent. Doing a medical examination will determine if you meet the requirements of a medical class 1 certificate. What if I have high/low blood pressure? Can I have that during the medical examination? Blood pressure above 160/95 on several occasions will most likely be disqualifying. Low blood pressure that causes fainting and heart problems will inhibit you from obtaining a medical class 1 certificate. You are not allowed to have any sort of heart problems. Is there any maximum and minimum limit for weight and length as a commercial pilot? There is no specific height that is too short or too tall. We can determine whether or not your height is within limits at our location in Västerås. Where we have the possibility of placing you in the cockpit of several aircraft to see if your length will be out of limits. When flying an aircraft the length of your arms and legs, as well as the force you are able to apply to the control wheel and rudder pedals, has to be sufficient to safely operate as a commercial pilot. Max Body Mass Index (BMI) to work as a pilot is 35. You can calculate your BMI by dividing your weight in kilograms (kg), divided with your height in meters (m) squared. Can I have dyslexia and still become a professional pilot? With minor dyslexia you need a flight psychologist to conduct a psychological evaluation and a review if you have any former investigations to make sure you can become a professional pilot. If you have a more severe dyslexia you can´t become a professional pilot. What will make me NOT pass the medical examination? What is a Pilot Open Day? During a Pilot Open Day you will have the opportunity to learn more about our school and how to become a commercial pilot. You will learn more about the aviation industry and we will teach you how to line up on the runway and prepare for takeoff. Can I do an introduction lesson in your Cessna 172 G1000? Yes! On our Pilot Open Days in Västerås, Sweden, you have the unique opportunity to schedule an introduction flight with one of our flight instructors in a Cessna 172 G1000! The price of the intro-lesson is 120 EUR and there are a limited number of spots. Since these intro-lessons are very popular we recommend booking them well ahead of time. Can I do an introductory lesson in your Boeing 737 NG simulator? Yes! On our Pilot Open Days in Västerås, Sweden, you have the unique opportunity to schedule an introduction session with one of our flight instructors in our Boeing 737 NG simulator! The price for the simulator intro-lesson is 95 EUR and there are a limited number of spots available. Since they are very popular we recommend booking them well ahead of time. When is your next Pilot Open Day? You can find the next upcoming dates for our Pilot Open Days on our event site by clicking the button below. Which cities can I attend a Pilot Open Day? The complimentary Pilot Open Days are held continuously in cities in Norway, Sweden and Denmark. Can I do a Pilot Aptitude Test at a Pilot Open Day? During a Pilot Open Day you will also have the opportunity to take the first part of the Pilot Aptitude Test for a fee of 100 EUR. The test needs to be booked and paid in advance to secure your spot. You must have completed high school to sign up for the Pilot Aptitude Test. You can find more information about the Pilot Aptitude Tests by downloading the "How to prepare" guide. What does the aviation market look like? The market for pilots looks brighter than it has in many years. This is a result of both a steadily rising number of passengers in the world and the fact that many of the airlines have a large number of older, soon retiring pilots. Read more about the market outlook here. OSM Aviation Academy also have a great collaboration with many different airlines. Read more about the partners here. Can I become a flight instructor after my pilot studies? Being a Flight Instructor (FI) is one of the most rewarding careers you can have in aviation. You will also gain valuable experience as a teacher and Pilot in Command as you are teaching the future generations of pilots. Your logbook will also start filling up with Pilot in Command hours, a valuable column in your pilot logbook that will enable you to upgrade to Captain at a later stage in your career. Becoming a Flight Instructor is not for everyone though, you must have a passion for teaching and having a creative way of thinking helps in becoming a great educator. Some discover that they have a passion for teaching others during their own training, as they tutor classmates and more junior students in their spare time. Read more about how to become a Flight Instructor here. Will OSM Aviation Academy support me after my graduation? For all students graduating from one of our integrated programs we offer a Career Support Program. This concept includes recurrent events where former students have the possibility to return to OSM Aviation Academy and refresh their knowledge. You can participate in simulated job interview, receive support from our instructors and fly our Boeing 737NG Simulator. We are tremendously proud of our students, we have from a front row seat followed their personal development and how they have taken on all the challenges that come with a pilot education. We live by the motto that our students are future colleges, a mantra that is deep within our organization and it reflects in the competence and skills possessed by our graduated students. The Career Support concept shows that we have a complete confidence in our students. We know that they received the best pilot education available and have a high level of professionalism. Career Support was launched to make sure that all former students receive support for as long as it takes them to land their first pilot job. This in combination with the Airline Ready Pilot-concept, makes us a natural choice for the ones with ambition to work as a pilot. OSM Aviation Academy was given status as an approved higher vocational training provider in Norway by NOKUT on the 8th of April 2019. This means that Norwegian citizens can apply for low-interest student loans through Lånekassen once they are enrolled in an integrated flight training education at OSM Aviation Academy in Arendal, Norway. Read more about financing for Norwegian citizens on our Norwegian website. OSM Aviation Academy is striving to make your student life and flight education easier for you by offering financial solutions. We have a cooperation with Nordea Norway that will grant student loans for Norwegian students attending one of our integrated flight training programs. Nordea is offering three financial solutions created to meet your situation and needs. OBS! You need to have an acceptance letter from the school before you can apply for a loan through Nordea. 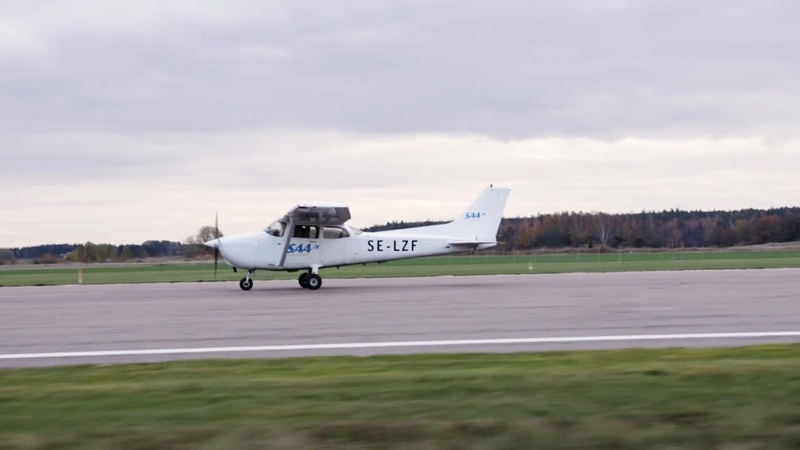 We have a cooperation with Nordea Sweden that will grant student loans for Swedish students attending one of our integrated flight training programs. Students enrolled in one of our integrated flight training programs are eligible to apply for student funding from the National Board of Student Aid (CSN). Please note that special requirements apply to non-Swedish students and that you may be more likely to receive student loans from your country of citizenship. Follow the link to CSN’s website if you wish to read more about being approved by CSN. Does OSM Aviation Academy offers scholarships? OSM Aviation Academy is striving to make your student life and flight education easier for you by offering scholarship and financial solutions. At the moment we don't offer any scholarships, but we will update this page when the opportunity arises again. Do I need to make a payment to secure my spot at the program? Besides the cost of a medical exam and the cost of the Pilot Aptitude Test, you need to pay an application fee to secure your spot at our integrated program. An invoice for the application fee will be sent after you have applied and successfully been admitted to one of our integrated programs. Västerås is quite a popular city to live in and to rent an apartment downtown Västerås is usually expensive. When you receive your enrolment certificate we will hand out suggestions of housing agents in Västerås. The rent is approximately 3 100 SEK to 6000 SEK per month depending on size and location. It is of utmost importance to book your apartment as soon as possible in order for you to guarantee accommodation. Read more and apply for student housing with Bostad Västerås. Below you will find alternatives for short-term accommodation in Västerås where OSM Aviation Academy offers a discounted price for our visitors. Hotel Hässlö is situated within walking distance from the school. If you are planning on visiting us for a shorter period of time, this is a good option. As a visitor/student at our school, you will be offered a special student price for your accommodation. Follow this link to see where the hotel is located. If you are arriving by plane to Stockholm, Arlanda airport we recommend Swebus or NetBus4You from Arlanda Terminal 5 to Västerås Recesentrum. If you are arriving by car, the address to Hässlö Hotell can be found in the attached PDF. The address to the school is in my signature below. From Västerås Recesentrum (The bus and train station in Västerås) you can take bus no. 2 towards «Björnögården» and get off the bus on “Eskadergatan”. You will then be within walking distance of the hotel and OSM Aviation Academy. Elite Stadshotellet in Västerås is located in the middle of the city center and is close to shops, restaurants, and cafés. The discount you can get depends on how far ahead of time you book your room and how flexible you want to be. Booking can be done until the time of arrival and you can book via Elite Hotel's webpage, by phone or via email. The booking can be canceled until 14:00 CET on the day of arrival and the payment must be guaranteed with a credit card. Booking must be done at least 7 days before arrival and you can only book on Elite Hotel's webpage. If you choose this discount you are not able to cancel your booking. Payment is done by credit card when you book the room(s) and is non-refundable. Remember to use the company code 6151866. At the moment we are in the process of negotiating an affordable and attractive student housing in Arendal for long-term accommodation. Accommodation is not included in the tuition fee of the Professional Pilot Program. It is the student’s responsibility to arrange his/her accommodation. OSM Aviation Academy will be able to assist you with reserving an apartment if you want our help. When you receive your enrolment certificate we will hand out contact information to the staff in San Diego for you to book an apartment. The rent is approximately 750 dollars per month if you share a room. If you want your own room in a shared apartment it costs 1250 USD per month. It is of utmost importance to book your apartment as soon as possible in order for you to guarantee accommodation as well as lower the rent. OSM Aviation Academy are currently in discussion with different landlords in Arendal concerning student housing for our students. 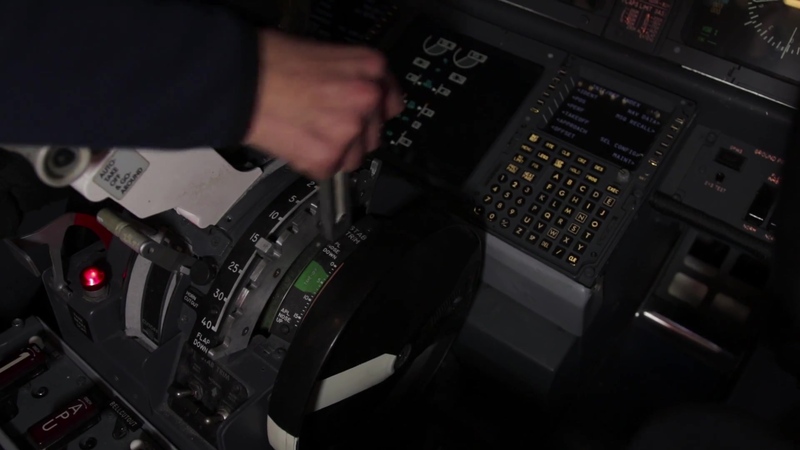 A typerating is a course where you learn how to operate a specific type of aircraft. After the pilot training at OSM Aviation Academy, you will have an education that provides you with the possibility to apply for pilot jobs at different European airlines. When you are offered a position and know which type of aircraft you will be operating, you will need another additional course for that specific type of aircraft. That course is called a typerating. The airline that hires will be the airline that provides the typerating course, where they also teach the airline’s Standard Operating Procedures (SOP). A typerating includes both theory and practical flight training with the airplane type and takes about 6 months (might vary a bit depending on airplane type and airline). In other words, you will be qualified to do a typerating for any airplane type after completing one of our integrated programs. Which airplane type you will do your typerating on depends on the employee and which airplane type they operate/need pilots for. Is the flight training in English? Lessons, briefings, and flight lessons are held in English. All printed material, such as literature, manuals, and checklists will be in English as well. Will there I have a summer/winter vacation? Since we need to fly as much as possible when the weather and sunlight permits, there is no vacation planned for our integrated programs. In order for you to complete your training in 20 months, you will need to be available during summer. Winter/Christmas vacation is easier to accommodate for several students, but summer vacations will rarely be approved. What will happen if I quit the program? If the student terminates the contract before the training program starts, the student is only obliged to pay the registration fee. In case of termination during the course, the student will have to cover outstanding payments to the school. The amount will depend on how far into the education program you are. This will be clearly defined in your contract. If you need to terminate the education due to loss of your medical license we have a “loss of license” insurance that covers the course fee that you have already payed.